Open enrollment is starting soon, November 1 to be exact. While I still can’t see what my insurance premiums options are until then, I am able to see what the drug insurance copays would be depending on the level of insurance plan we could get. (Note: We have no intention of changing to insurance, but I like to keep track of how much better Samaritan’s pricing is!) We only have one option for insurance on the individual market. When the choose the bronze plan on the insurance company website, it shows me what my copays for medicines would be. I have put several medicines that we’ve been prescribed in the last few years into their search fields to see what the pricing is today. I did the same thing with goodrx, my go-to for cash drug discounts, and made the comparisons. So far, every single one of them is cheaper using the coupon through goodrx. EVERY ONE. While that will not always be the case, it is again eye opening how insurance isn’t really saving us anything. For one of the medications with the widest pricing swing, I called the closest goodrx pharmacy with the cheapest price to get their cash (no goodrx discount) prices, and make sure they accept goodrx coupons. Here’s what I learned. For a generic it’s incredible that the cash price is almost $500, wow. Goodrx will save us 36% over the insurance copay and 92% over straight cash! It really pays to do the research. The pricing variation for this one medication in the same town, across 6 different pharmacies with a few miles of each other ranged from $38.18 to $171.15 even using the goodrx coupon. 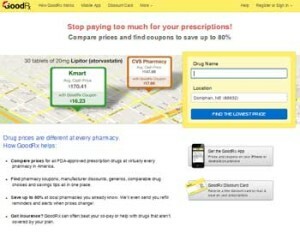 While paying cash and using coupons for medications is a great thing, there can be some pitfalls. For one, it usually means we get our prescriptions filled at a number of different pharmacies in the area. It’s worth it to me to drive across town to save $130 on the exact same medication. It adds a little more time, but the savings are definitely worth it. Prices should be checked periodically because they can change (usually annually, sometimes more often), and it may require you to transfer your prescription mid year to capture the savings. (Transferring is usually very easy and automated over the phone or online). Also, sometimes the cash/coupon price isn’t cheaper than an insurance co-pay. It pays to make a list of your medicines and run these comparisons. For many people they come out ahead each year, even if some meds are higher, simply because others are so much cheaper. And the difference between our Samaritan monthly share and the insurance premium also plays in. I can afford to pay a little more for any higher priced meds because I’m saving so much each month on premiums. Once again, being a member of Samaritan Ministries instead of having traditional health insurance is saving us money and giving us freedom of choice. Even when it comes to medications.